To ensure the economic viability of the critical components and manufacturing capacity exists to meet the growing demand of consumables and hydrocarbon equipments, Energy Facility® has developed alliance with world experts to form a supply chain. 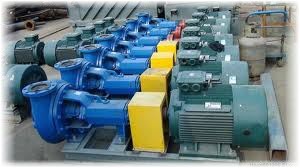 We have a deep knowledge in the sourcing and supply of project and consumable oilfield equipment. We have supplied project equipment to E&P companies in West Africa and North America, including line pipe, valves, well control panels, chemical injection packages, pressure vessels and structural steel. Energy Facility® services cover the complete supply chain: from the initial enquiry, rendering, evaluation, ordering, to inspection and final delivery to national and international destinations. Energy Facility® we work in teams, communicating and supporting each other. Shared experiences mean we are better equipped to enhance the quality of service to our clients. Our clients get a single point of contact. Our teams are encouraged to build strong relationships with their clients. We are conscious of the importance of our clients and how meeting their needs enhance our ability to retain and attain new business. Our people aim to do a great job for their clients. Unless our clients are really pleased with our work and feel they have received value for money, we are not happy.